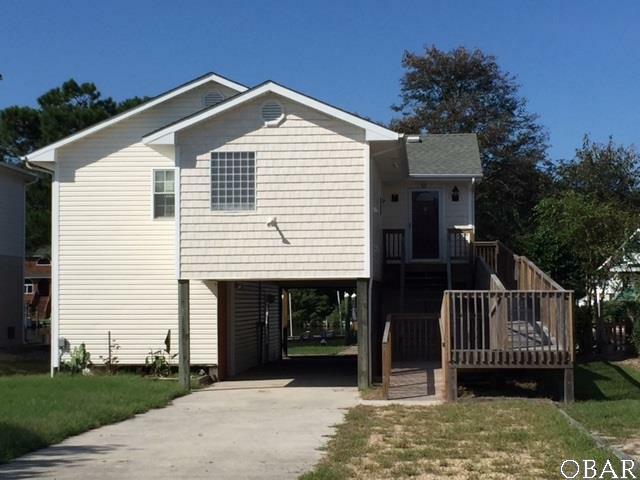 Per Lender Approval to Participate in Short Sale - Unique Quiet 50' Canalfront Handicapped Accessible Property with Boatlift - located steps from the end of the street cul-de-sac. Home and has recently been painted, carpet cleaned, exterior powerwashed - Ready for new owners to make it their own! Enjoy this flowing floorplan with open kitchen and living area with gas fireplace keeping you cozy while enjoying the beautiful waterviews. Masterbedroom has an additional sitting area with large walk in closet. Downstairs includes a utility room, bonus room and workshop. Yard is fenced, Canalfront has a Bulkheaded with a Pier and Boatlift giving you direct access to the Harbour leading out to the Albemarle Sound. Home Warranty with acceptable offer. Great Primary Residence or Second Home for family to enjoy! Fish, Kayak, Paddleboard, Boating, Swim - this property has it all & is priced to Sell! Short Sale - "Sold As Is - Where Is" - Sale is subject to approval by the mortgagee. 15 days from list date (9/30) before offers are submitted/entertained.